I hope you will enjoy your visit to our website, where you will see our latest yellow, chocolate and black Labrador puppies. If you are browsing for pleasure, research, or to find a pedigree Labrador puppy, I hope this site will be of interest to you. Dog people love talking about their pets so if you need any help please don’t hesitate to get in touch. To see some photographs of the labrador puppies please visit my pedigree labrador gallery. If you are interested in a labrador puppy please contact me. I am Maureen D’Arcy. I defy the old adage ‘Never work with children or animals’. Professionally I spent twenty five years teaching primary school children. Becoming a head teacher allowed me to take into school many animals from a hedgehog to a Shetland pony. My dogs were frequent visitors; a treat always looked forward to by the children. During this time, as a family, we bred and competed with horses showing at Wembley and Hickstead. My daughter won many honours in ridden show cob and hunter classes. She moved to riding side saddle winning the Hunter Side Saddle class at the National Championships. Having competed in Cross Country Competitions my son qualified as a farrier and has moved on to become Chairman of the British Farriers and Blacksmiths Association. Last year he was one of the first farriers to gain a Degree in Farriery and became an Associate of the Worshipful Company of Farriers. Personally I went the route of breeding and producing horses for competition along with being secretary for a local Riding Club. I have always lived with dogs, my choice being clever working types; collies, lurchers and russels .Stanley, my first Labrador, came to me by chance. His owner became ill and wondered if I might know someone, with horses, who might give him a home. I brought him home from kennels with a view to re-homing him. Ten years later he is still with us! 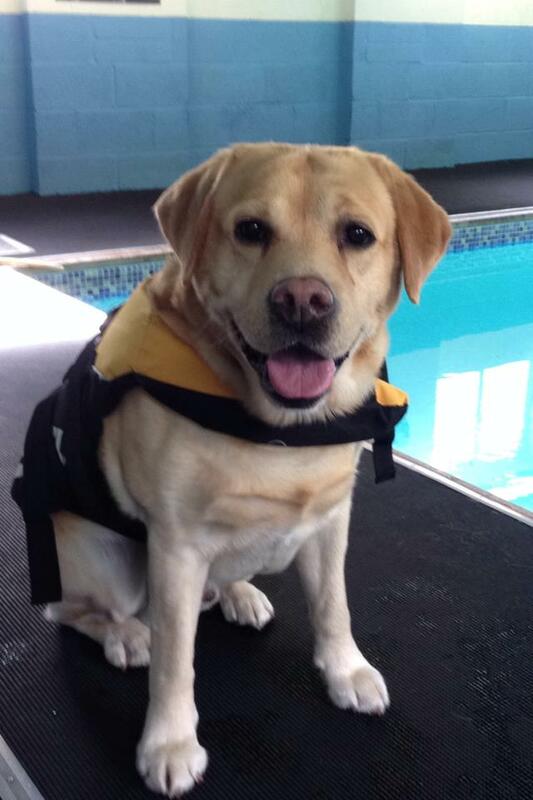 This happy yellow chap won our hearts and transformed our home into ‘yellow labrador world’. 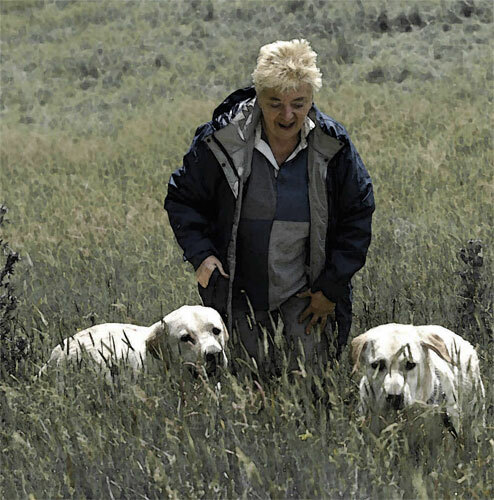 It was not long before my previous experience in breeding, producing, showing and judging horses at top level tempted me to expand my ‘yellow labrador world’. Many years ago an old ‘nags man’ told me it costs just a much to keep a good horse as a bad one. With this in mind I used my background to find the Labrador I wanted. After some false starts I found Ludalor Labradors and brought home Summer. The rest is history. Summer became a special friend always at my side. My growing number of canine friends enjoy walking, showing beating or just chilling out. Over the years I have introduced Meaculpa, Stormley and Sandylands breed lines into my kennel. I continue to work towards breeding sound dogs with good temperaments so that any one who is lucky enough to have one of my labrador puppies has a best friend like Summer. 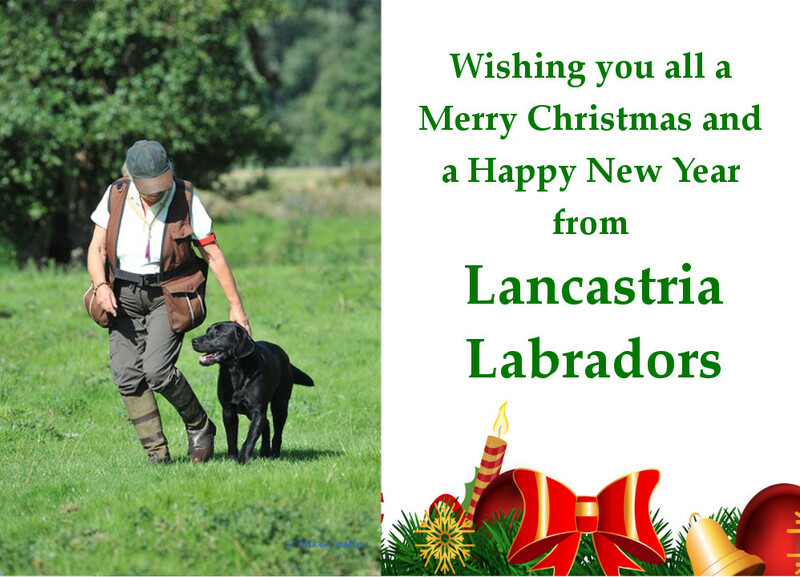 I am a Kennel Club Assured Breeder, a past Chairman of The North West Labrador Retriever Club and a ‘B’ List Labrador Judge. I am also an Affiliate of the Kennel Club for whom I can deliver the Management of a Dog Society Seminar. My Kennel Club registered name or affix is Lancastria. My dog world family continues to grow with both humans and canines and I consider myself very lucky to be part of it. My greatest pleasures are being with my family and my Labrador companions.